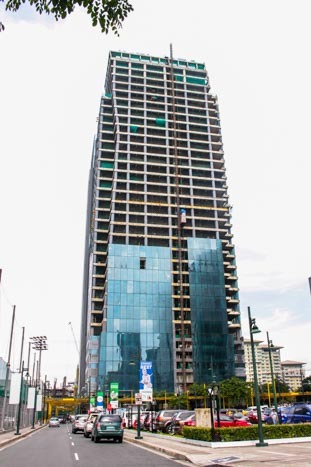 A PEZA certified, 32 floor high-rise office building by Alpha Plus Property Holdings Inc. slated for completion in the 3rd Quarter of 2018. The building will feature an all glass facade. There will be 11 parking levels (5 basement, 6 podium), and 100% backup power. There will be a total of 10 passenger lifts. The office building is located on 32nd Street, corner 9th Avenue, near Bonifacio High Street, Serendra, and Market! Market!